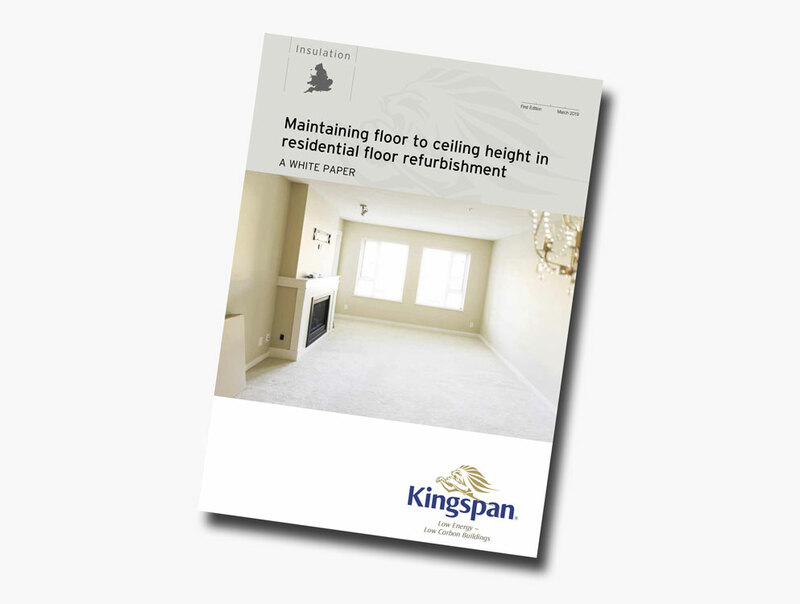 Kingspan Insulation has published a new white paper assessing how different floor insulation specifications can impact cost and floor-to-ceiling height in home refurbishments. The report is based on research from leading consultants — Currie & Brown. It shows that Kingspan Kooltherm K103 Floorboard can provide a cost-effective option for insulating solid floors without reducing headroom. Ground floors in many UK homes are uninsulated. By retrofitting insulation in these areas, it is possible to reduce annual energy bills by as much as £65. When choosing insulation for these refurbishment applications, it is important to look at their thermal conductivity. Insulation materials with lower thermal conductivities are more efficient and can allow a compliant U-value to be achieved with a slimmer thickness of insulation. Currie & Brown carried out a cost analysis to see how this can affect solid floor applications. The existing floor was excavated and replaced with a 100 mm concrete slab, insulation and the sand and cement or liquid screed. All constructions were designed to achieve a maximum U-value of 0.25 W/m².K – complying with the refurbishment requirements outlined within Approved Document L1B in England & Wales. The research shows that it was considerably more cost effective to remove and replace the screed layer rather than excavating the entire slab. 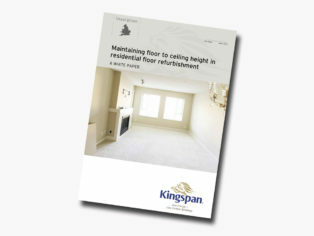 When adopting this approach, the Kingspan Kooltherm K103 Floorboard with liquid screed was the only construction which allowed existing headroom to be retained. This also avoids potential remedial costs relating to altering floor heights, such as raising fixtures and pipework, which were not considered within the analysis.